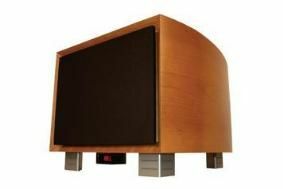 BRISTOL SHOW 2010: REL to showcase Gibraltar Series subwoofers | What Hi-Fi? There are two models in the range, the G1 and G2. The G1 uses a sealed cabinet with a 12in carbon-fibre driver, allied to a 700W Class AB ampliifier, while the G2 has a 10in driver and 500W amp. Both models are designed for stereo and multichannel use, with high level and LFE inputs, and come with a rotary control remote to make set-up and adjustment easier. An LCD display module mounted on the lower front of the cabinet provides a large readout of all the adjustable functions on the sub (high level volume, crossover, LFE volume, phase and lock). And if you want to use multiple G-Series subwoofers in your system, they can be stacked on top of each other for even more bass. The hand-finished cabinets are made in Sheffield and come in three finishes: gloss black, cherry and gloss carbon grey. Final assembly is at REL's engineering works in Bridgend.